We all know electric is the future of transportation. It’s non-polluting and it’s a heck of a lot more efficient than the combustion engines we find in vehicles today. Both of these advantages means going electric is good for the environment, people’s health and energy independence. The only challenge in moving to electric is the initial cost. It’s more expensive to build electric vehicles than it is to make gasoline cars. That’s because rechargeable batteries are expensive. But that does not mean we should stop the adoption of electric vehicles on our streets. Because that’s the only way we’ll see progress with it. We need to try it out to make ourselves ready for it. Here in the Philippines in particular, the government has shown its support for electric vehicles. This, at least, proves that some in government are still forward looking. They clearly see what the future would be like and correctly bet on that. If you are curious to know, there are electric vehicles currently running on the streets of the Philippines. Most of the efforts right now are on public utility vehicles. Being a country without a good rail system, we rely on gasoline-run buses, jeepneys and tricycles for our transportation. Although they are cheaper, they are also polluting the air we breathe. So we really need to be thinking about electric vehicles more seriously. It’s not only good for the environment but it also frees us up from oil dependency. We’re not producing any oil so we are at the mercy of oil exporting countries for our fuel. It doesn’t have to remain that way. And the way to change it is to start going electric. Here are the electric vehicles we have running on our streets right now. There is a push to replace smoke-belching jeepneys by more environment-friendly electric vehicles. One of those being eyed seriously is the COMET or the City Optimized Managed Electric Transport. It’s designed and manufactured by Pangea Motors, a Vancouver, US- based company. In partnership with GET Philippines, these electric vans will soon be mass produced in the Philippines with agreement to deliver 10,000 units to Pasang Masda. It seems the company’s marketing campaign is doing a pretty decent job of promoting the COMET. They’ve been on TV programs and have visited learning institutions such as the UP and Ateneo. I’m hoping for their success because their electric van presents several advantages over what jeepneys deliver. But apart from the technologies that come with this new electric vehicle, what I’m really interested to see work is the system that will be put in place to improve public transport. The company spoke about a cashless payment scheme, a command center, organized terminals and stops, proper driver training and daily maintenance checks. All of these looks very good on paper. I just hope they will be able to execute all of them properly. 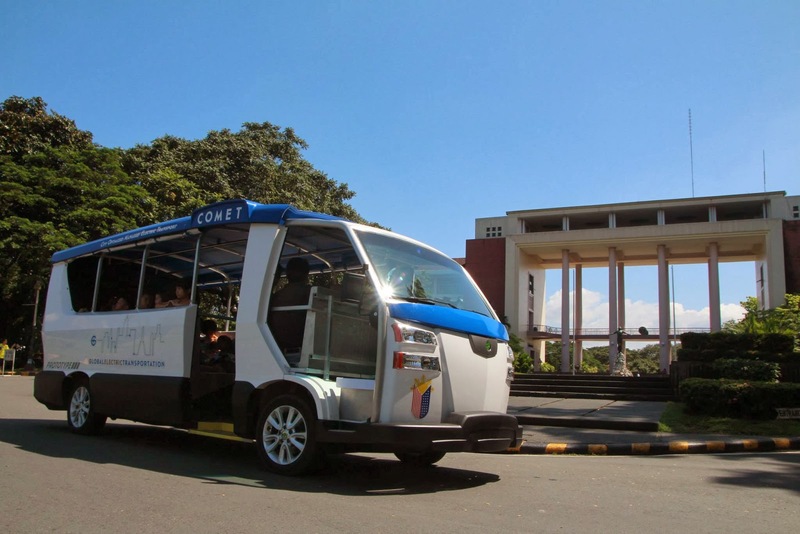 This is an ongoing project which is aimed at delivering 100,000 electric tricycles by the end of 2017 through a partnership between the Philippine government and Asian Development Bank (ADB). According to the loan agreement document found in ADB’s website, 100 million US$ will be borrowed by the government for this project. The pilot run started in Mandaluyong with only 20 units. Several manufacturers have already shown off their prototypes to give us an idea of how these tricycles might look like. One of the bidders in Terra Motors - a Japanese company which plans to invest in a production plant in Laguna. Their prototype called the T4 is shown above. As I have written before on a blog post here, this is a project currently being tested in Makati. There are 14 Philippine-made e-jeepneys owned by the Institute for Climate and Sustainable Cities. 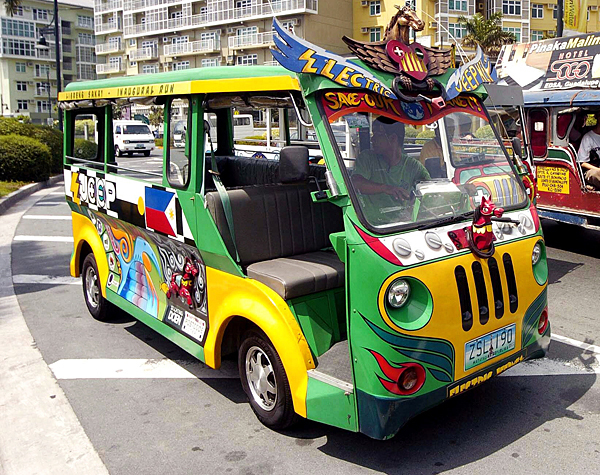 To be honest about it, the electric jeepneys look like reconfigured electric golf carts. I would prefer the COMET over this one just because I think they have a better vehicle and a more promising transport system. On March 2013, the first e-bus was inaugurated at the Malacanang Palace. This e-bus was said to be the first of 2000 units to be produced and sold to Victory Liner by Taiwan’s RAC Electric Vehicles, Inc. It has a maximum speed of 90 kilometers per hour. It can accommodate 52 passengers on its 26 seats. If all these projects succeed, we’ll have tricycles, jeepneys and buses all running on electricity. I know it’s not going to happen very soon but I would like to see the day it does. The current experiments on converting public transport vehicles to electric should lead the way to their acceptance and widespread adoption. This then will be one of the rare cases when public transportation technology will lead and private vehicles will, hopefully, soon follow. I’m not entirely sure if Terra Motors have actually sold an electric scooter here. But I’d like to include it in the list just because I think their product is so much better than what’s currently available in the market. The A4000i looks well-built. The battery technology is also impressive. It is easily removeable and lasts five times than ordinary rechargeable batteries. I have a bias for good products and I think this one is worth our attention. I don’t have information on pricing yet but I hope it’s not overly expensive. 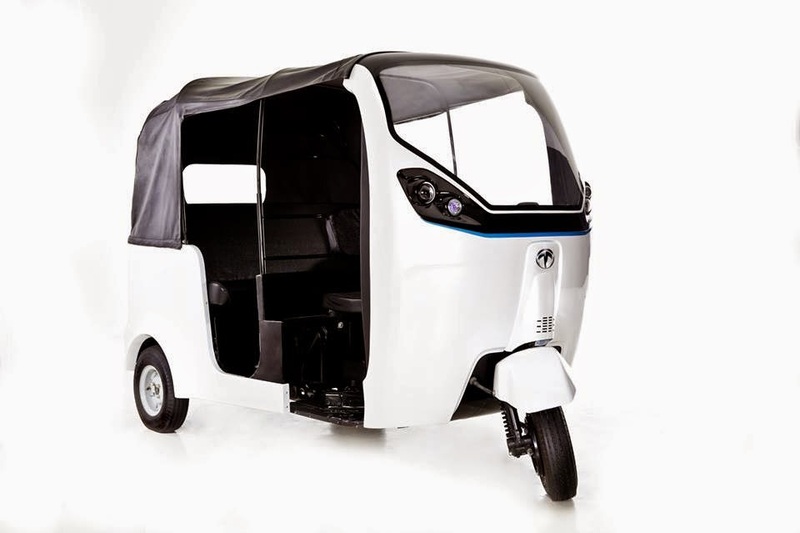 As I have mentioned above, Terra Motors is also among those participating in the e-trike project. It’s worth knowing that they will have a significant presence in the country. It should mean that service will be more dependable and products will be continuously improved. 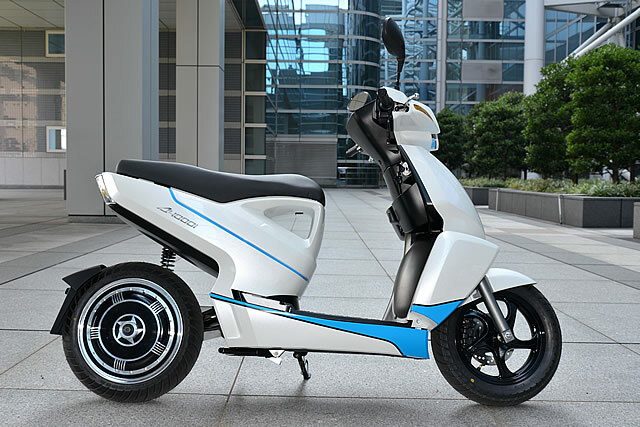 Electric bikes is a growing industry in the Philippines. I have seen several on the road although I have never tried one. There are several companies exporting these bikes from China and selling them here. Prices are pretty reasonable but I can’t really vouch for their quality, reliability and service. These are three important aspects that need to be considered very carefully before buying one. If I were to buy an E-bike, I would be very much concerned about the life of the battery as well. How long before do I need to replace the rechargeable battery and how much would it cost me? Apart from that, what maintenance activities do I need to do to keep the E-bikes in good running condition? Do these sellers have service centers? If you’re on the market for e-Bikes, I have a list of websites below that you can visit to check out your options. One of the advantages of buying e-bikes is that you don't have to register it with the Land Transportation Office because it's considered a bicycle and not a motorcycle. So you don't need a driver's license. No need to wear a helmet. You don't need to worry about stuff you worry about when buying a motorcycle. But for it to be considered a bicycle, it should have a pedal assist feature and runs at a maximum speed of 35 kilometers an hour. Last but certainly not the least, we should give credit to Manny V. Pangilinan for spending some of his wealth to export a Tesla Model S to the Philippines. It’s a show of support for electric vehicles. The car reportedly cost him nine million pesos including all the taxes and duties. Although the Tesla Model S is beyond the reach of most Filipinos, it still represents a promise of what the future of electric cars would be like. It would not come too soon or too easily but it will come. I believe the Philippines and the Filipino people would have open hearts and minds for electric cars once they arrive. All of these electric vehicles, both public and private, is a testament to our strong conviction and realization that our transportation will run on electricity in the future. We may not have the infrastructure and technology yet right now to make it a reality but we eventually will. Let's keep our fingers crossed!